Is the Buddha’s word always spoken by the Buddha? You are here: Home > Buddhist Teachings > Stages of the Path (Lamrim) > Approaching the Buddhist Path > Buddhist Teachings > Stages of the Path to Awakening with Thubten Chodron > Is the Buddha’s word always spoken by the Buddha? 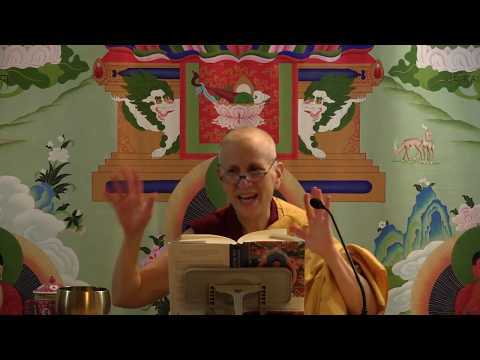 Part of an ongoing series of teachings based on Approaching the Buddhist Path , the first book in “The Library of Wisdom and Compassion” series by His Holiness the Dalai Lama and Venerable Thubten Chodron.